Parents can intervene and help resolve conflicts when sibling bullying occurs. A psychologist explains the difference between sibling rivalry and sibling bullying and provides guidance on when to take action. Sibling rivalry is a topic that is as old as time itself, and it’s probably not an overstatement to say that if a family has more than one child, sibling rivalry has likely been an issue at one time or another. But when does sibling rivalry cross the line from a common experience, to something problematic? Many different things can cause siblings to fight, especially since their needs, anxieties and age affect how they relate to one another. A recent study in the journal Pediatrics found that kids and teens exposed to an aggressive rivalry with their siblings tend to report more depression, anxiety and anger than other kids. This study surveyed 3,500 children and teens, and asked them about the range and extent of sibling aggression they experienced. Aggression included instances of physical assault, stealing, breaking a sibling’s things on purpose and saying things to make the child feel bad, scared or unwanted. The results showed that all of the types of sibling aggression in the preceding year were associated with significantly worse mental health for both children and adolescents. When the researchers compared sibling versus peer aggression, they found that both types of bullying predicted greater mental distress. Even mild sibling aggression was associated with significant distress. These findings are troubling, and point to the fact that parents shouldn’t ignore a potential problem if they are concerned their kids are victims of sibling bullying. Many times parents make the mistake of thinking that siblings can work it out on their own, but kids may actually need guidance. This is particularly true if your children are angry and emotional about a particular situation. The first step in stopping bullying at home is to acknowledge that it is wrong. However, not all fighting is “wrong,” and while most fighting isn’t considered bullying, why do kids even fight in the first place? Many different things can cause siblings to fight, especially since their needs, anxieties and age affect how they relate to one another. Don’t spend too much time trying to figure out who’s to blame; instead, focus on how they can work together. School-aged kids have a strong concept of fairness and equality, so they might not understand why siblings of other ages are getting what they see as preferential treatment. Adolescents are developing a sense of individuality and separateness, and might resent having to take care of younger siblings. Children of all ages generally dislike it when siblings get into their “stuff,” so that meddlesome brother or sister is often a cause of fights. And finally, sometimes a child’s special needs due to illness or emotional issues may require more parental time, leading other children in the family to act out to get attention. So what should you do when your kids start to fight? If they’re in the process of fighting, separate them until they’re calm. When siblings start to argue, it’s often best to give them space for a while. Once they’ve calmed down, spend time talking to them about how to resolve the conflict in a way that is respectful and productive. Don’t spend too much time trying to figure out who’s to blame; instead, focus on how they can work together. Set ground rules for acceptable behavior such as no hitting, no name calling and no yelling. Solicit their input on the rules and the consequences if they choose to break them. Don’t give your kids the impression that everything has to always be fair and equal — sometimes it’s not, and one child needs more time than the other. Be willing to acknowledge that there could be a problem. Know the difference between healthy competition and abuse. 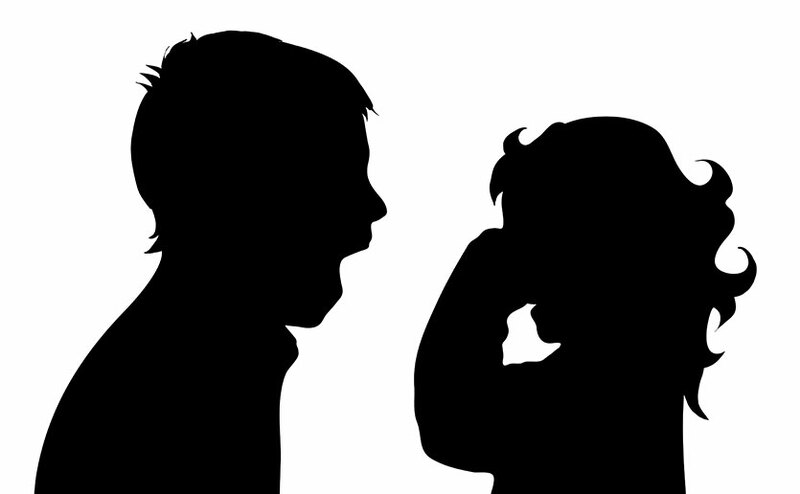 Respond quickly when you witness verbal abuse, name-calling, teasing and physical aggression. Make sure your kids have space and time to do their own thing — without their siblings around. Take a proactive stance in responding to sibling bullying. Teach them how to start a dialogue, handle new and challenging situations and identify why they’re doing what they’re doing, and how they’re feeling. Sometimes the root of sibling bullying starts with kids feeling left out. Spend quality, separate time with each of your children. Similarly, make sure your kids have space and time to do their own thing — without their siblings around. Be aware of more significant symptoms of problems in your children. If a child begins to withdraw, exhibits signs of depression, anxiety or anger after sibling fights, the problem may be significant. A bullied child’s grades begin slipping, or he or she begins acting vastly different — more aggressive, anxious or depressed. Problems between the siblings are causing problems within your own marriage. You are concerned about physical harm to a family member. The sibling conflict is causing damage to the self-esteem of the child or the health of the entire family system. The problem may be related to mental health concerns such as depression — in either the bullied child or the child doing the bullying. Ellen Braaten, PhD, is associate director of The MGH Clay Center for Young Healthy Minds, and director of the Learning and Emotional Assessment Program (LEAP) at Massachusetts General Hospital. She is also an assistant professor of psychology at Harvard Medical School. She is co-author of the book “Bright Kids Who Can’t Keep Up,” which was released in August 2014.